The Daily Post Weekly Photo Challenge is to show “Companionable.” You can see the post (and cute pictures of dogs) here. 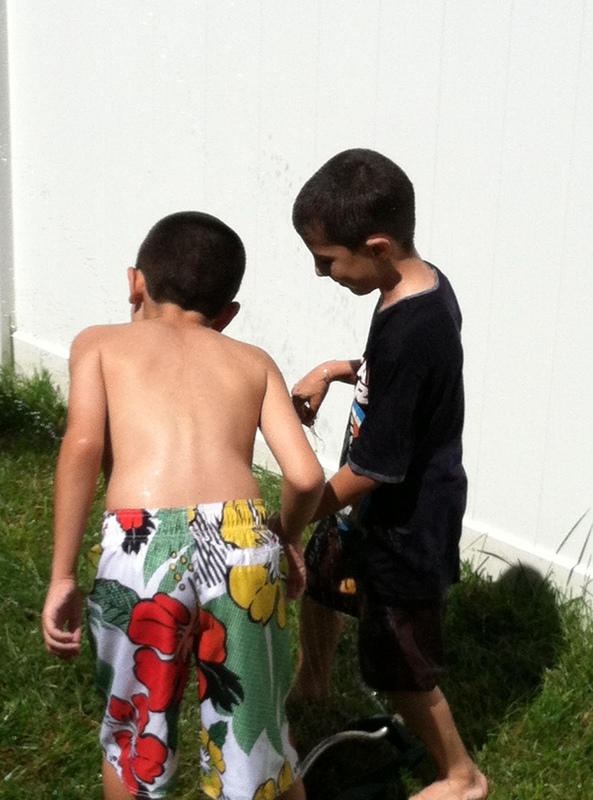 That’s JC and M. playing with the hose in our backyard. We had two kids so that they would have each other. Though they share the same blood, they are as different as day and night. They’re a yin and a yang. Peanut butter and jelly. Our greatest hope is that they will love each other despite their differences, that JC will care for and love M. and, along with his parents, be a champion for M. and his special needs. Beautiful and heartwarming – thank you for sharing! We are all differently abled. Your wish is a wish for everyone, every pair, couple, multiples; siblings, family near and far. What a beautiful caption, Jess. Heartwarming and wonderful!